Doug’s Construction and Repair is looking forward to helping you service your water heater in Sugar City. Doug's Construction and Repair employs many different types of professionals. We have plumbers, electricians, carpenters, and repairmen on staff. Water heaters are important. They help ensure our baths and showers stay at a comfortable temperature. It is frustrating when they do not work properly. We offer same day to next day service. This gets our professionals on the job as quickly as possible. There is an affordable financing option if it is hard for you to pay for service completely out of pocket. We’re willing to price match the competition so that you get the best deal (any same quality class water heater). If there is an emergency with your water heater be sure to contact us promptly. We are ready to repair or replace your water heater or boiler. We get our professionals on the job as quickly as possible. There is an affordable financing option if it is hard for you to pay for service completely out of pocket. We’re willing to price match the competition so that you get the best deal (any same quality class water heater). If there is an emergency about your water heater, be sure to contact us promptly. Many water heaters fail because they start to rust through. The typical water heater can be expected to last 8 to 10 years. About 70% of our calls come from customers who have a rusted out water heater that needs replacement. Getting a new water heater is often better than repairing an old one. If you are unsure about how good your water heater in Sugar City is doing, Doug's Construction and Repair is willing to do preventative maintenance. We also install tankless water heaters that give long lasting heat to your water sources. A tankless water heater is more expensive, but it lasts longer (10-15 years) and saves up to 50% of the energy (Don’t pay if you aren’t using it) cost that a tank water heater consumes. A tankless water heater gives you efficiency over the long term. It is important that your water heater system receives maintenance. Annual inspections can help keep it running in good condition. We also install a water softeners in Sugar City so your water quality improves. We also service a boiler if it is getting old. Doug's Construction and Repair tries to provide a low cost compared to the competition. 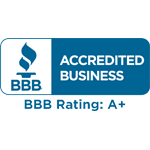 Doug's Construction and Repair carries an A+ rating from the Better Business Bureau. Customers like us because the business is punctual and does a quality job. If you would like to learn more about what Doug's Construction and Repair can do for your home or business, give us a call at 208-356-9331. You can also contact our business by email. Doug's Construction and Repair is able to handle many types of construction crises. If you have questions about what our business offers, make sure that you let us know. We look forward to hearing from you and sending professional workers to get the job done.